I just finished Hampton Sides' "Hellhound on His Trail" this past weekend and only after completing it did I realize how genius the cover art is. The book is the story of James Earl Ray(aka Eric S. Galt, aka George Sneyd, aka John Willard, aka Harvey Lowmeyer) and his assassination--and flight from justice--of Martin Luther King, Jr. The book is popular history done well and, if we can set aside the conspiracy theories of either government or KKK involvement, gives the reader a good look at the political and personal dangers chasing King. But lets get back to the cover. The paperback, which releases on March 22, 2011, has a more familiar image on the cover. It is a photo five people standing on the balcony of the Lorraine Motel in Memphis, TN. It's a good shot for the book and it makes sense. The hardcover has a white dustjacket with blue typeface. The greatness comes from the visage of a man. A man who looks like a junior-high teacher from the 1960's or an insurance salesman. He is fairly plain and non-descript. It was this facet of Ray that allowed him to slip through the hands of prisons(two escapes) and through the minds of people who taught or lived near him. He was more than a chameleon. Over and over he was referred to as "common" or "bland." So design is not always a success only if it forces a reader to pick up a book and look it over. Chip Kidd is probably the only artist who any reader seeks out for his art alone. So the job mainly consists of creating something attractive enough to bust through the monotony. For once, I realized the power of a gentle image. Something that said much more about the book and its subject than I would have guessed at first glance. Two interesting notes. Ray was so willing and able to blend in that several guards at a Jefferson City, MO prison that he broke out of didn't know his name at all--they only knew him as Prisoner 416-J. He had been there for over eight years. 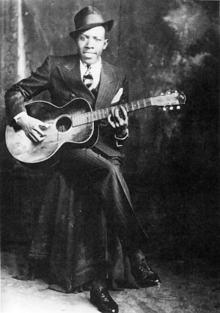 Second is that the title of the book is a variation of a blues song by Robert Johnson first recorded in 1937. A year later Johnson was dead and folklore has always had it that he sold his soul to the devil to play the guitar so well. He sang, "And the day keeps on worrying me, there's a hell-hound on my trail."